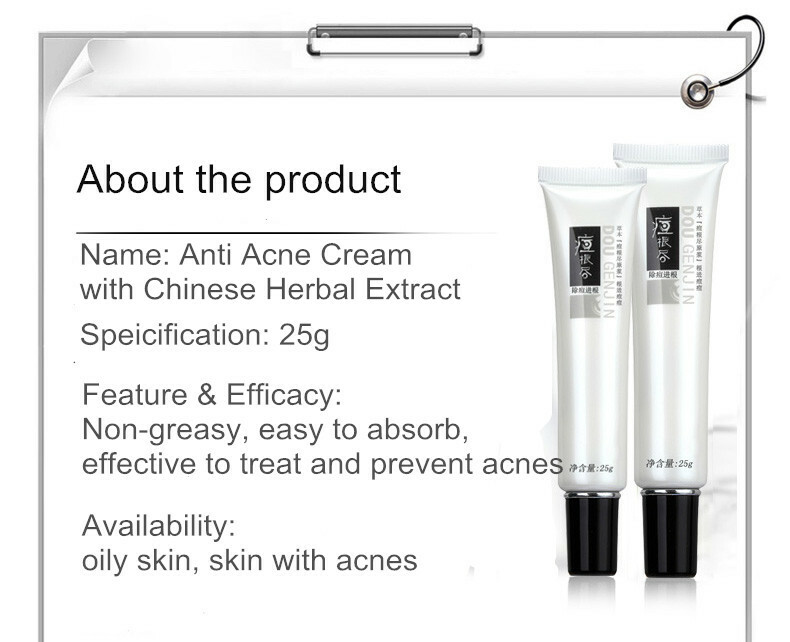 Efficacy & Features: non-greasy, easy to absorb, effective to treat and prevent the acnes. 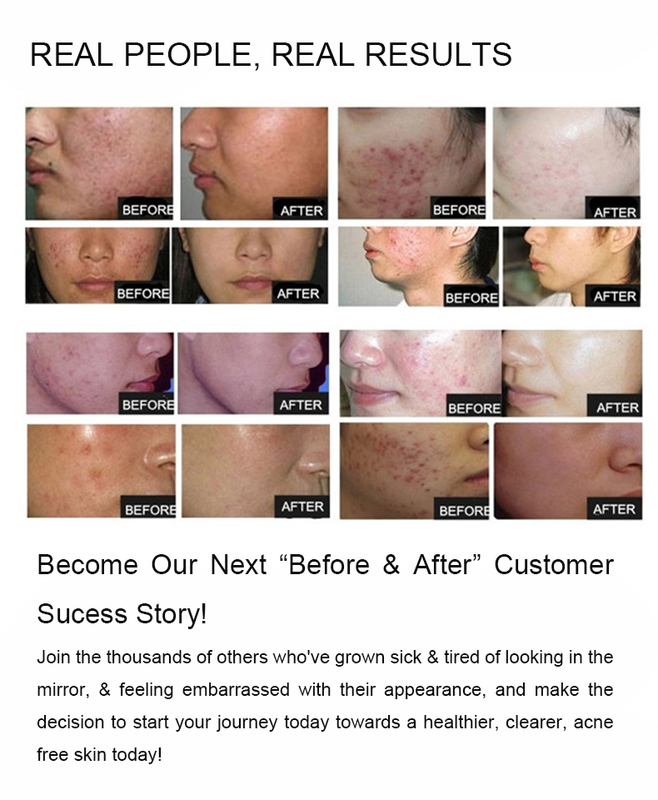 Suitable Skin: All skin types, especially oily skin, skin with acnes, pimples and comedos. Directions: 1. 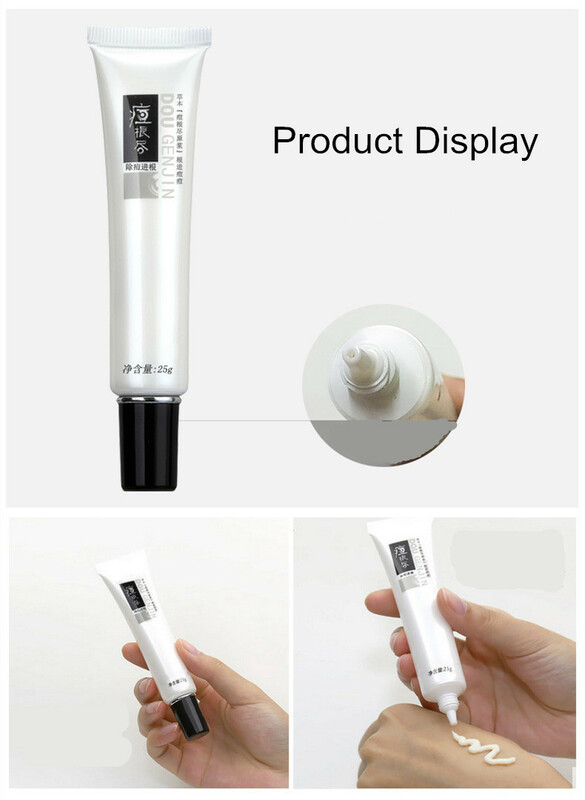 After cleaning and moisturizing the face, squeeze some cream onto your fingertip. 2. Apply the cream onto the affected areas and massage into skin gently. 3. Apply the cream 3-6 times per day. 1. 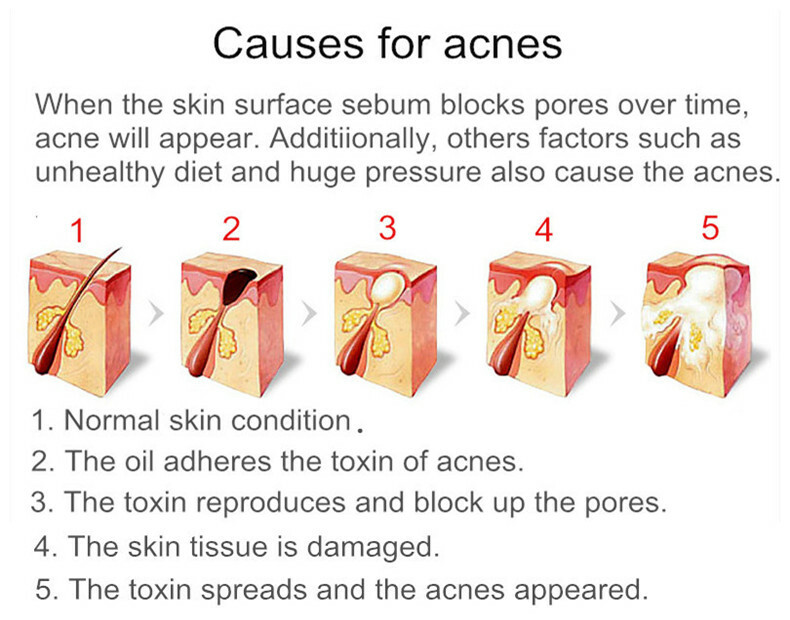 For skin with temporary acnes, it begins to take effect in a few days. 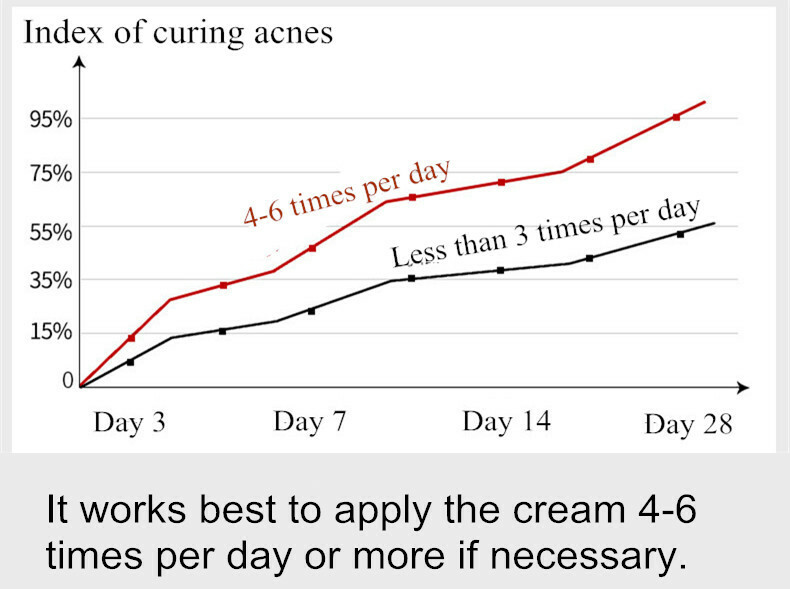 For skin with severe acne problem, two of three pieces of the anti-acne cream are needed to cure the acnes. 2. 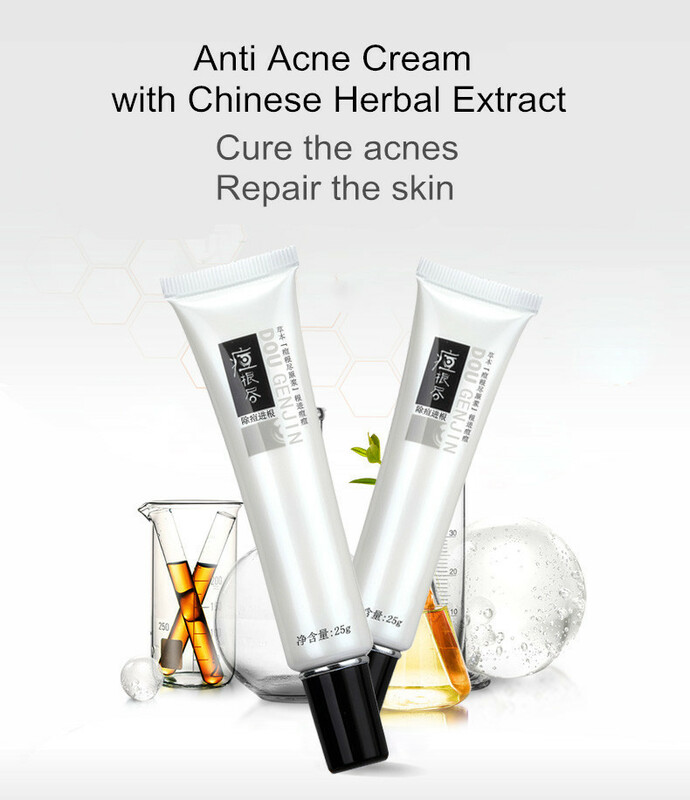 To get better effect to treat ances and dimish acne scars, it is suggested to choose the pack with cream (Anti Acne Cream With Chinese Herbal Extract) and serum(Acne Scar Repair Serum). 3. 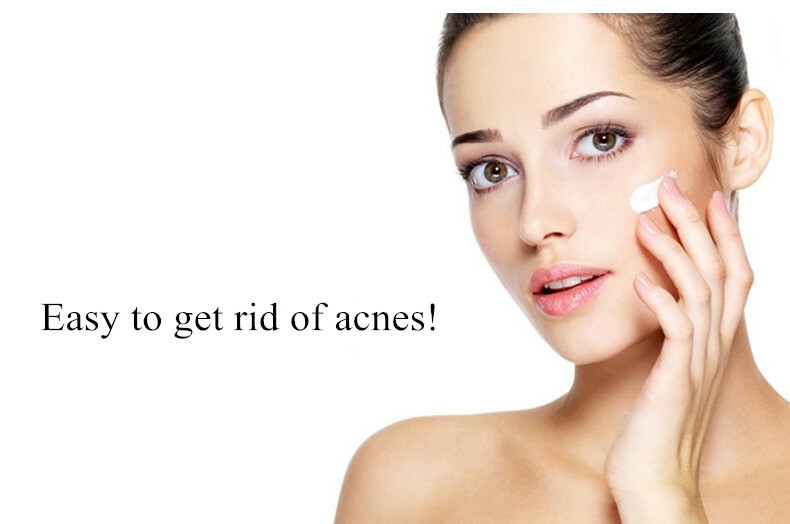 Continue to use for a while even if the acnes are cured to prevent teh reappearance of acnes. 4. 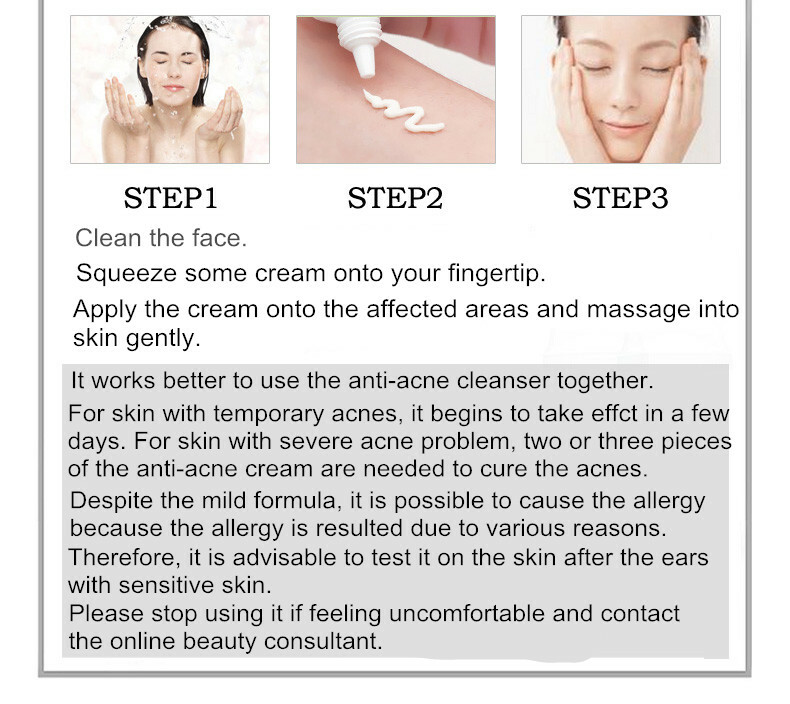 The Anti Acne Cream is aimed at treating acnes, and it is not a moisturizer. So an extra moiturizer is needed. 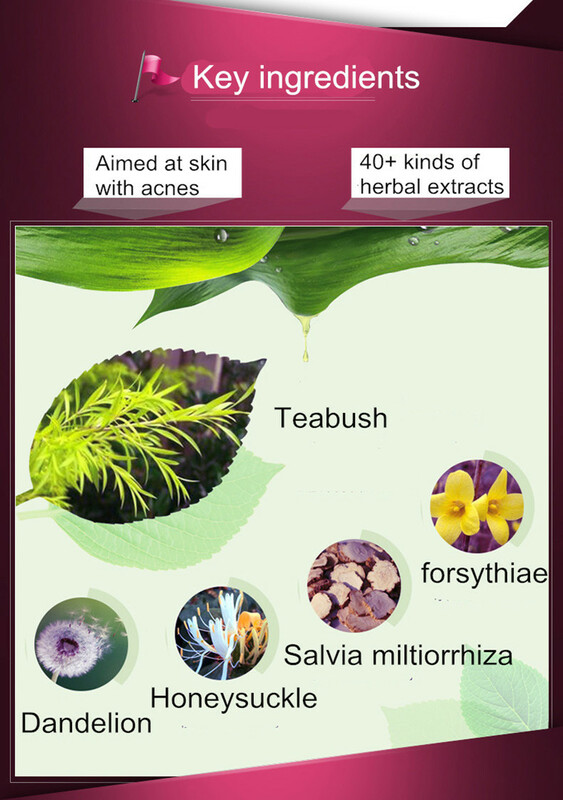 The JonDe acne treatment original pulp contains 40 plus kinds of precious herbal essence. 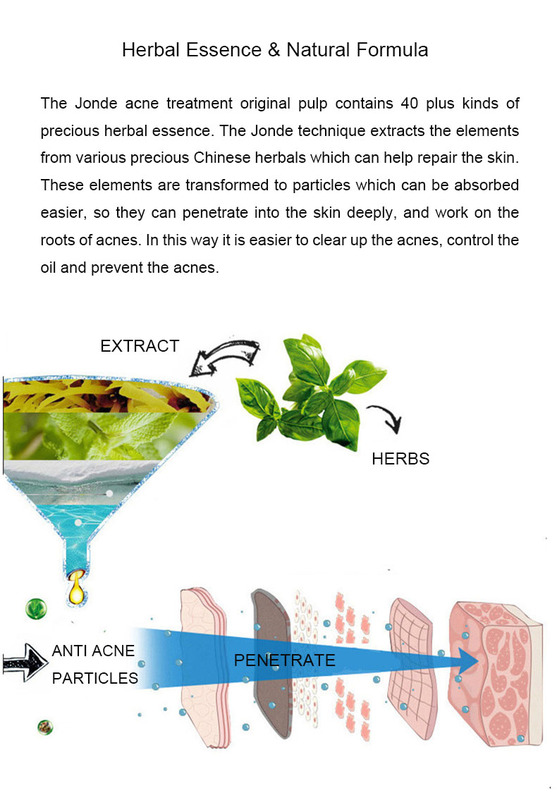 The Jonde technique extracts the elements from various precious Chinese herbals which can help repair the skin. These elements are transformed to particles which can be absorbed easier, so they can penetrate into the skin deeply, and work on the roots of acnes. 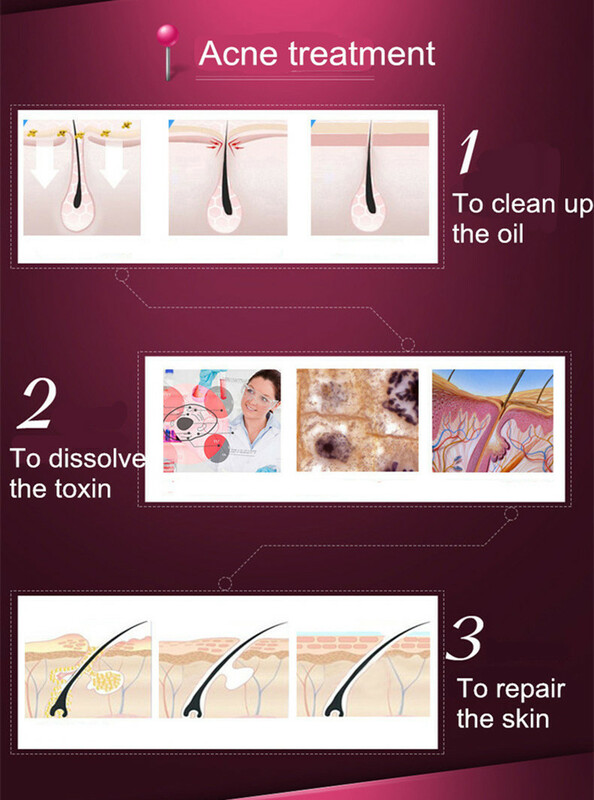 In this way it is easier to clear up the acnes, control the oil and prevent the acnes. 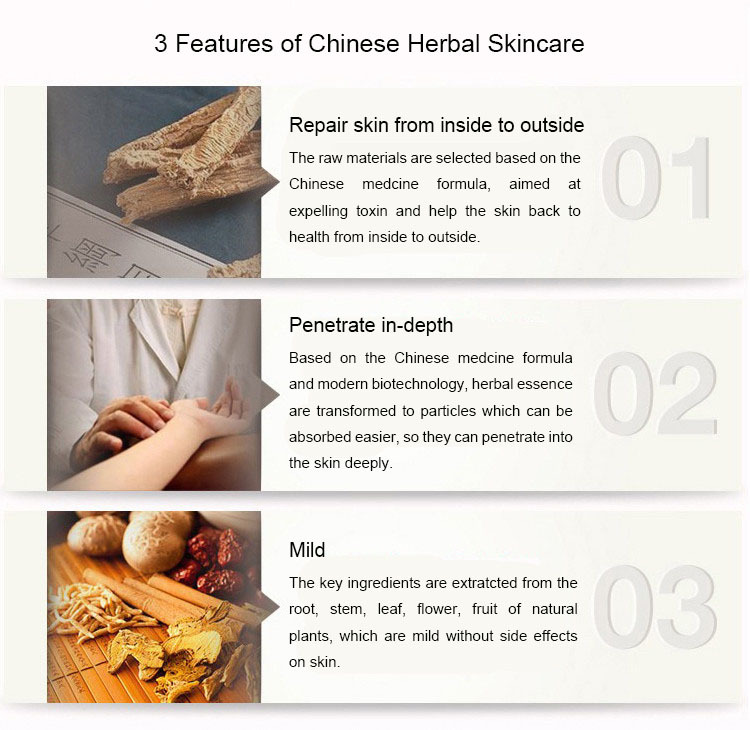 This product contains several kinds of essence from herbs, such as teabush, dandelion, honeysuckle, salvia miltiorrhiza, forsythiae, etc.